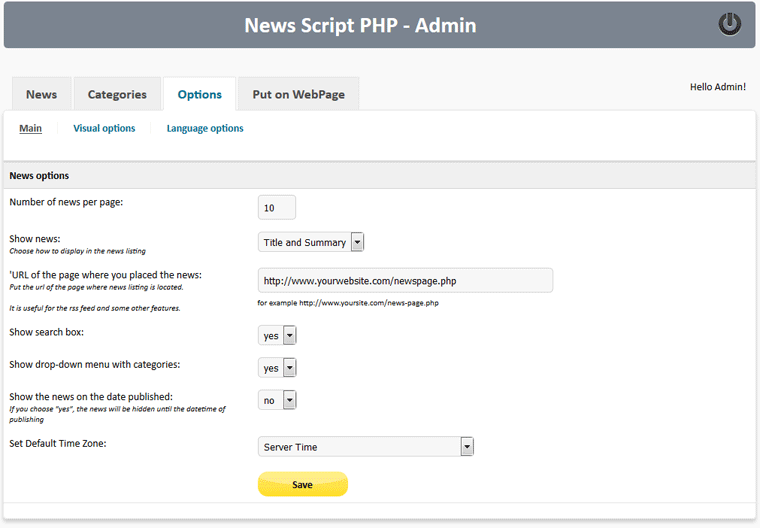 How to install and use News Script PHP. 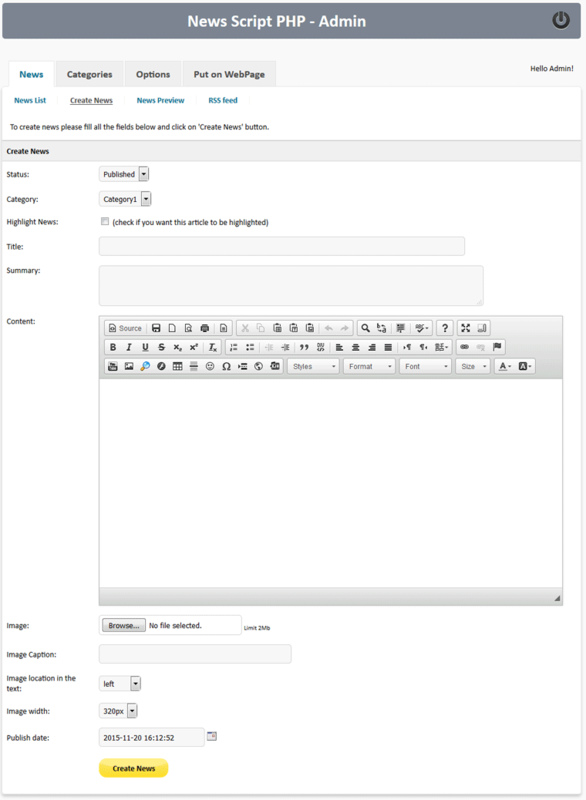 Set the visual style and language, upload news. How to put the news on web page. 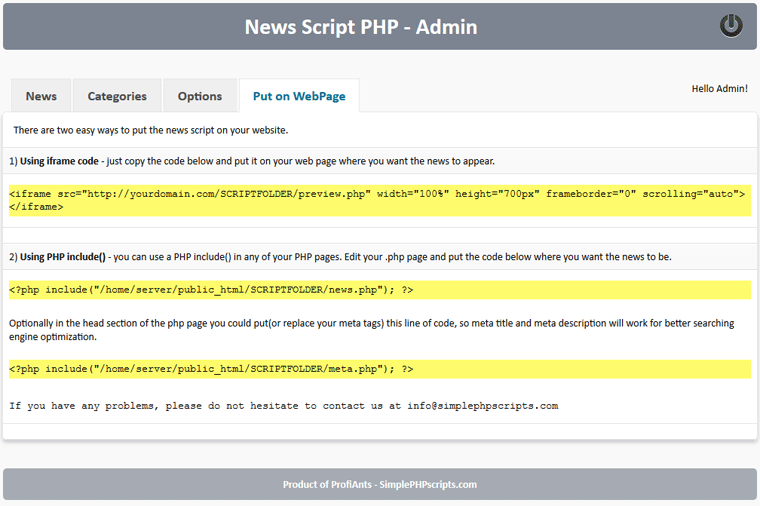 How to install News Script PHP? 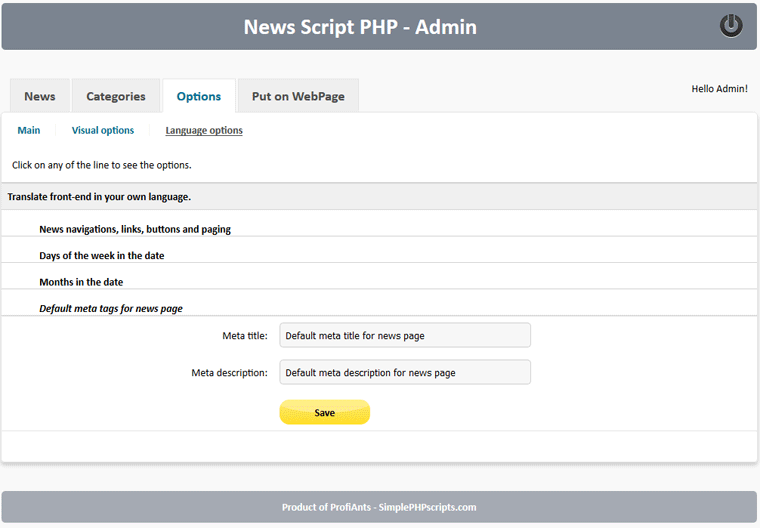 News Script PHP requires PHP 5.3 or higher version and MySQL 5.0 or higher version to run on your server - you can see the current version of PHP and MySQL in the control panel of your website. 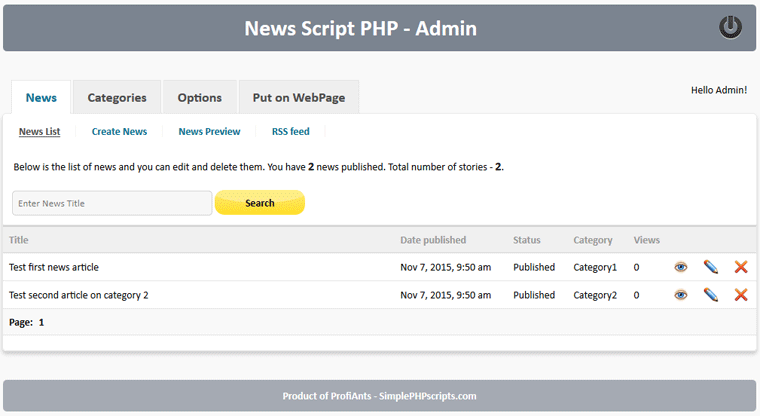 How to use News Script PHP? 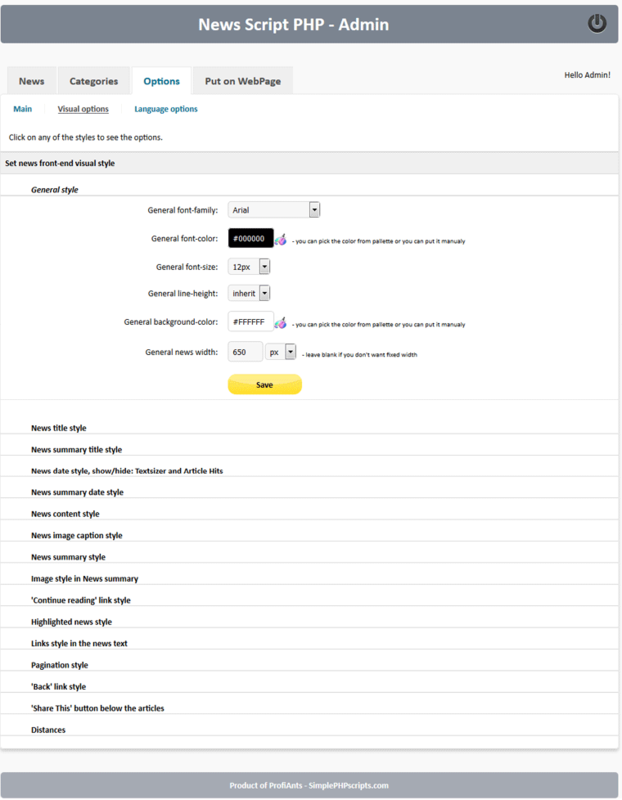 In 'Main options' you could set the number of news articles per page as well as choose between three options to display the news in the listing - Only Titles, Titles and Summary and Full News. Also, you could show or hide the search box from the front-end. There is option to show/hide categories drop-down menu. Then next option "Show the news on the date published" - if you choose "yes", the news will be hidden until the datetime of date publishing the news. This date is editable in admin area. If your webserver is on different time zone than your location, you may set your Default Time Zone.